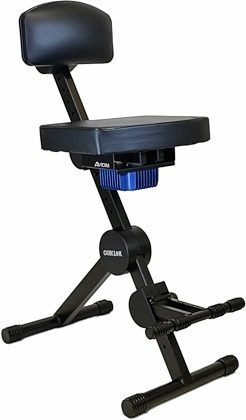 Aviom's PFS-1 Performance Stool combines a sturdy QuikLok performance stool with a built-in tactile transducer system. The stool has an adjustable seat, back, and foot rest that allows it to be customized to suit any player. Simply connect the stool to the BOOM-1 using the included locking-type speaker cable. zZounds is an authorized dealer of Aviom products.